The recent Reserve Bank and Financial Markets Authority report into life insurers highlighted that insurers were not adequately addressing product suitability during a product's lifecycle. The regulators said their minimum expectation was that insurers were ensuring that customer suitability was considered in product development, had systems and controls to ensure distribution and performance of products was in line with product design and customer suitability, ensured customers understood their policies and had systems in place to ensure ongoing suitability, as well as training and monitoring advisers to reduce the risk of unsuitable products being sold to customers. That could mean insurers start to play more of a role in what has traditionally been the adviser's job to work out whether a product is right for a client. 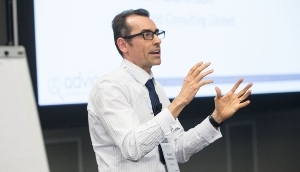 Russell Hutchinson, of Chatswood Consulting, said while "suitability" from an insurer's point of view was not meant to mean everything that financial advice meant, any requirement for them to assess suitability would eventually affect advisers. "One aspect of suitability is eligibility - and we're not just talking about a client being old enough to purchase the contract. While 'hard' rules such as age of entry requirements are enforced by insurers, 'soft' rules such as whether a client would be eligible to claim under certain circumstances, such as some income protection scenarios for self-employed clients, have usually been left with the adviser to work out with the client, with the occasional intrusion of the underwriter. Other issues, such as assessing whether an applicant can afford the product, or is vulnerable to pressure, and may therefore require additional help, add complexity." David Whyte, who is chair of Lifetime, said the requirement for suitability for mainstream providers seemed vague. "The conduct report criticised the design and suitability of certain products but I'm struggling to believe that this was aimed at the Partners, Fidelity group of life companies. "Certainly, the fringe operators around funeral insurance, credit card protection could well fit the report's description... if the provider is to audit every statement of advice, why bother with a code of conduct for advisers, or any revised legislation for that matter?" Under the new advice rules, all advisers will be bound by a code of conduct which includes a requirement to give advice that is suitable for a client. Hutchinson said it could mean both the adviser and the insurer independently assessing suitability, to different standards. “Examples so far suggest that the insurer version is pretty broad – more defining when the product is definitely unsuitable, to weed out some obvious examples where a customer shouldn’t own something. Take the eligibility example from the CNC report – selling a policy to someone not entitled to work in New Zealand, and leaving it to the policy exclusion to weed them out, just isn’t okay. The insurer should check that eligibility issue, and ensure people not eligible do not buy it. There are some trickier issues, however, like assessing clients for affordability, or vulnerability." He said, if insurers had to provide enhanced management of the issues they would have to decide whether they could do it themselves or should leave it to advisers. "Either way, advisers will feel the effects. Additional information may need to be collected. Further checks - calls perhaps from the insurer to the client - may be required. The requirement to consider suitability throughout the life of the contract could place the insurer in the position of flagging up the issue of suitability problems. The extent to which the adviser is involved in these tasks may vary - but like it or not, there will be an effect on the relationship."